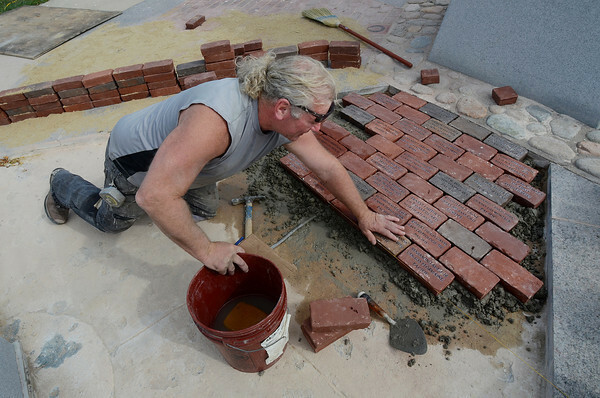 Bruce Mitchell of Essex, a mason with Earthworks of Rockport, works Thursday on the final section of the World War II Memorial at Kent Circle in Gloucester. Mitchell and his co-workers were laying bricks with names of Gloucester citizens who served in the war. This week's work was the final phase of a $235,000 project, paid for by public and private sources, that began in 2008.